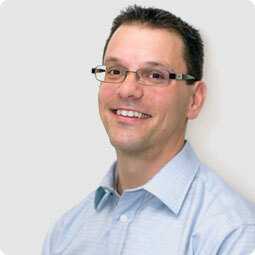 Simon graduated with a Bachelor of Science Degree in Physical Therapy from the University of Alberta in 1995. He practised in Kentucky and north-eastern Alberta before returning home to Edmonton. He has been working at the Kinsmen Sports Centre Physical Therapy Clinic since 1999. Simon mentored extensively with Mary Young, the Clinic’s long time director and owner. In 2011, Simon took on the role of Clinic Director. First and foremost, Simon is interested in how exercise can impact a person’s function. He also has a special interest in acupuncture and how it affects musculoskeletal rehabilitation. He completed the University of Alberta Certificate Program in Medical Acupuncture in 1999 and Gunn Intra-Muscular Stimulation in 2003. Simon incorporates their use into his rehabilitation programs. Simon has also completed Level Three of the Canadian Physiotherapy Association Orthopaedic Manipulative Therapy program. Simon has successfully completed “Diagnostic Imaging in Physical Therapy Practice” and is able to order diagnostic imaging for his patients and clients. Simon is an active member within the physical therapy profession and has served as President of Physiotherapy Alberta – College and Association and as the Alberta Representative on the Board of Governor’s of the Canadian Alliance of Physiotherapy Regulators. In his spare time, Simon enjoys the physical and mental benefits of swimming and walking and loves spending quiet time with his amazing wife. Simon is the proud father of three wonderful children and is inspired by the endless amount of energy and creativity they exhibit. Basketball, hockey, football, karate, and children’s theatre are regular fixtures on the Cooke calendar.